Embark on an unforgettable 9 day journey through Indonesia! 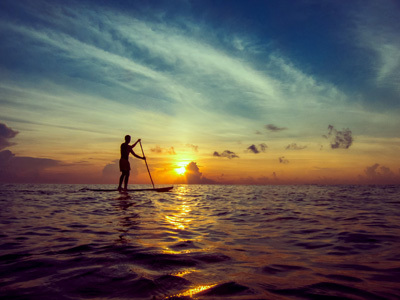 Your custom adventure offers the ideal blend of exploration, culture and relaxation. Explore the beautiful island of Bali, wandering through luscious rice terraces, playing with mischievous monkeys and meeting local artists. Immerse yourself in the culture, as you visit small village communities and discover a world usually hidden from travelers. Continue on to the beach, to lounge on white sandy beaches with turquoise clear waters. So, pack your bags and let the memories begin! This morning, you will be met at your hotel by a representative of the Paon Bali Cooking School for a tasty tour ahead. Your day starts early at the Ubud markets, where you can pick from fresh herbs and spices, crisp vegetables and choice cuts of meat. Stop at an Ubud rice field along the way, before heading off on a guided "padi" expedition. Your cooking class takes place in a Laplapan village, where you will be warmly welcomed and expertly guided by your host, Puspa. 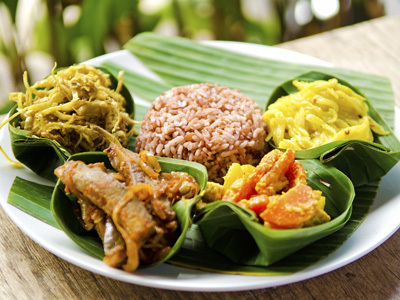 Puspa will help you to discover the tricks and learn to create your very own delicious and authentic Balinese dishes. Enjoy a delicious lunch of your own creation at Paon. Canggu offers peace and serenity for those looking to escape Bali's bustling, tourist packed streets. At this coastal retreat, you will find lush rice fields extending all the way down to the beach. This quiet region is home to many of Bali's expat community, which contributes to its laid back vibe. Kick your feet up, grab a cocktail and let your troubles float away in the sea! Today you will visit the famous Tanah Lot Temple, one of the most photographed temples in the world. It is perched on a barren rock outcrop, and at high tide, it is completely surrounded by the ocean. Today, you will be met and transferred to the Denpasar airport for your international departing flight. We hope you enjoyed your experience and we wish you a safe and pleasant flight home. Kayumanis Ubud Private Villas & Spa is a discrete, intimate hideaway in the heart of Bali’s mystical Ubud. Nestled amongst groves of cinnamon trees and fragrant blooms, this haven is situated overlooking a tropical forest and the gently flowing Ayung River. The ideal choice for those seeking a personal get-away and complete privacy, Kayumanis Ubud Private Villas & Spa has by design 23 themed villas, each an exclusive enclave of serenity and comfort. 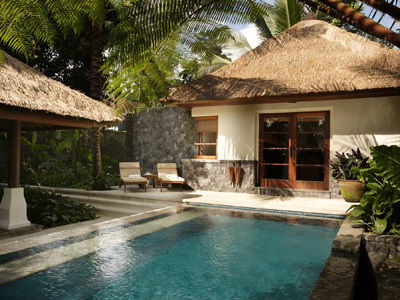 Kayumanis Ubud Private Villas & Spa does not accommodate children below 16 years old. The Hotel Tugu Bali offers the ultimate experience in Balinese hotel luxury. The property boasts a tropical beach setting, lovely accommodations and the highest standards of customer care. Designed and decorated in classic Balinese style, the antiques, artifacts, and ambiance transport you to a world of history and romance. It's a honeymooner's paradise, with private villas and inspiring sunsets. Feel like lunch in your room, breakfast in an antique pavilion, or dinner under the stars? Consider it done. Don't miss other unique dining experiences, including Indonesian cooking classes and the Tugudom dinner experience with Balinese performers. With dance and yoga classes, the spa, surfing, and award-winning golf nearby, Tugu Bali has something for every guest.